Motorola One Vision launch appears to be nearing. It is almost one year since the launch of the Motorola One Power and the company appears to be prepping the next-generation Android One smartphone in the lineup. This new device is expected to be the Motorola One Vision, which was spotted on the Geekbench database a few days back. Now, a GSMArena report citing the Wi-Fi Alliance listing of this smartphone claims that its launch could be imminent. The upcoming Motorola smartphone has been spotted at the WFA certification database. It shows that the device will support Wi-Fi 802.11 a/b/g/n/ac and run Android 9 Pie out-of-the-box. Going by the benchmark listing, the Motorola One Vision is likely to feature a 21:9 display and the selfie camera is likely to be an in-screen unit. It further reveals that there will be a Samsung Exynos 9610 SoC based on the 10nm process powering the smartphone. This processor is likely to be paired with 3GB and 4GB RAM options along with 128GB of default memory capacity. This smartphone is likely to be fitted with a FHD+ display carrying a resolution of 2520 x 1080 pixels. Though the screen size remains unknown, it looks like it will be a 6.2-inch display as that was rumored to be the screen size of the Motorola P40. The Motorola One Vision is likely to be launched with Android 9 Pie and support ARCore and Digitial Wellbeing as well. Besides these, we can expect to see features such as Moto Display, Face Unlock and Moto Actions. 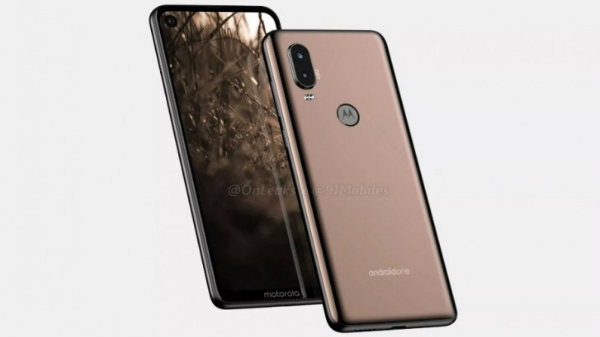 As per the reports, the Motorola One Vision has the codename "Robusta2". This hints that it could be the sequel to the Motorola One and Motorola One Power with the codenames "RobustaS" and "RobustaNote" respectively. It is also said to have model numbers XT1970-1, XT1970-2 and XT1970-3. As of now, there is no confirmation from the company regarding the upcoming device.